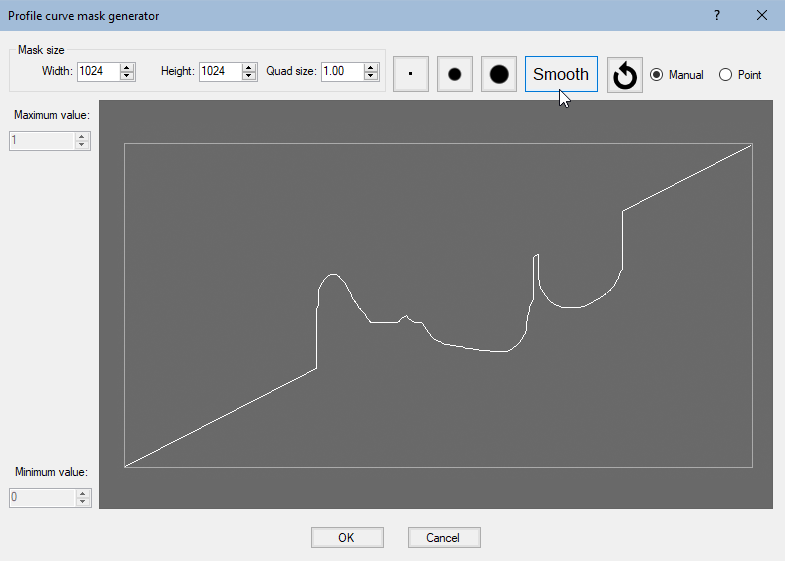 This node creates a mask from a curve. 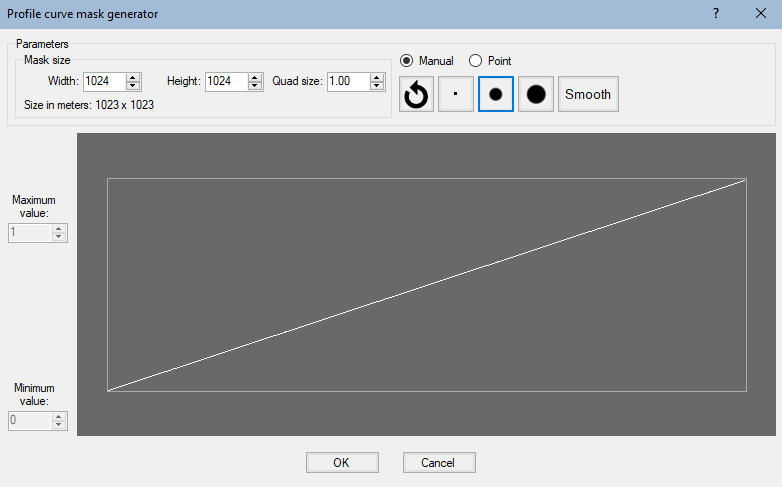 The curve is then edited to define the mask profile. 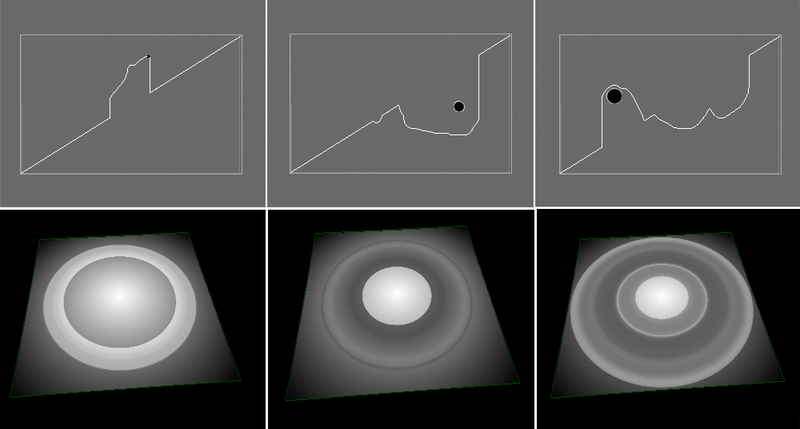 It is a generator, similar to the Circular symmetry node, but here the terrain height is not affected radially from the outside to the inside, but linearly from one side of the terrain to the other. 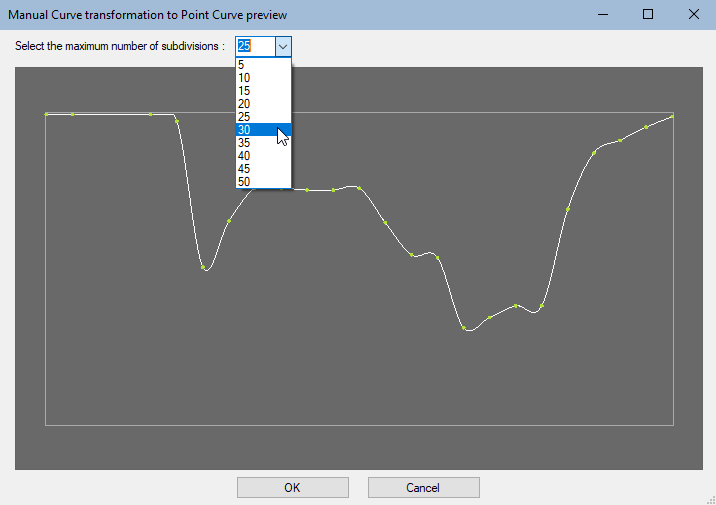 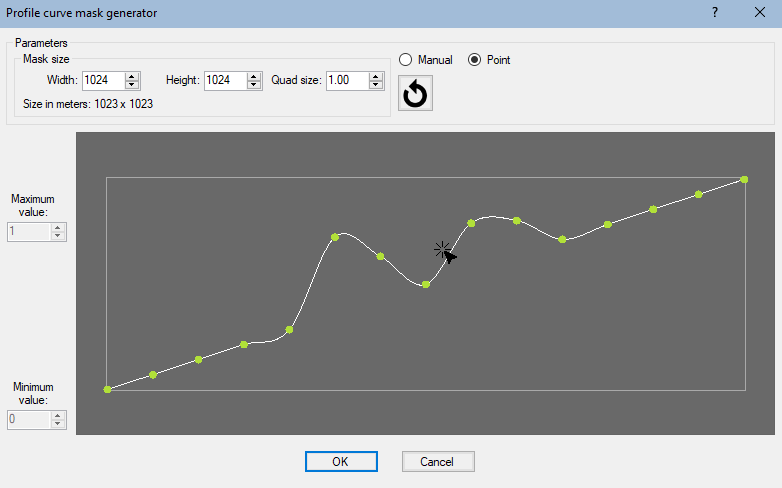 To add an Profile curve node, right click in the Graph Editor and select Create Node > Mask Generation > Profile curve.